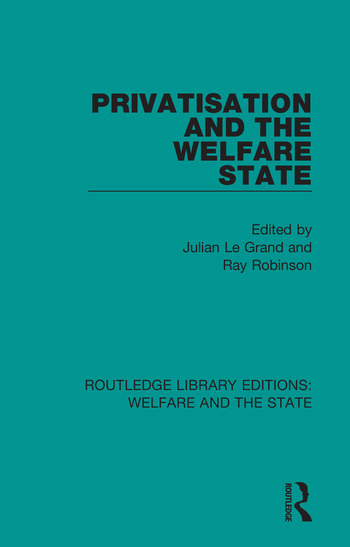 Originally published in 1984, Privatisation and the Welfare State brings together a distinguished set of experts on the Welfare State and its main policy areas of health care, housing, education and transport. Each chapter provides some much-needed analysis of privatisation policies in areas where, too often, political rhetoric is allowed to dominate discussion. The book makes a major contribution to the reader’s understanding of the complex issues involved in this controversial area of social policy. As the first systematic evaluation of a broad range of welfare state privatisation proposals, it is essential reading for economists, social administrators, and political scientists.